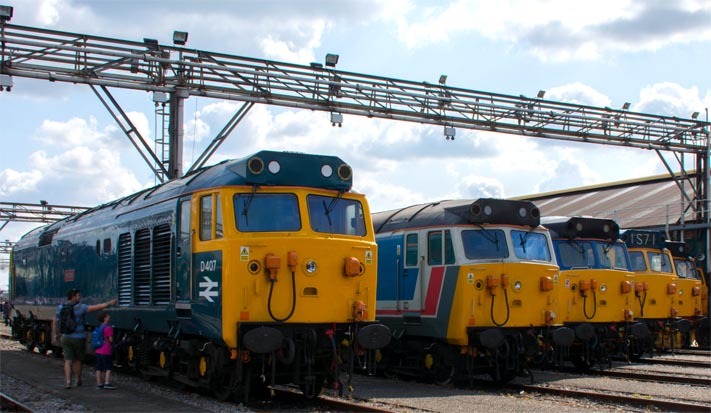 Class 50s lined up at the Old Oak Common open day on the 2nd of September in 2017 . 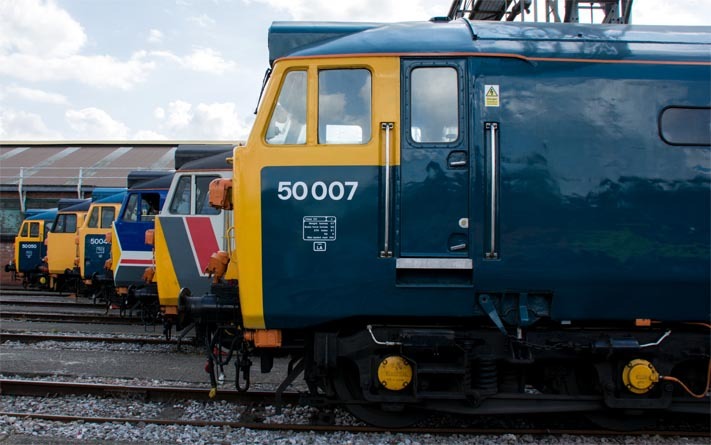 What a line up of 6 Class 50s in one place in 2017 and there was another one class 50035 Ark Royal as well which was on its own (photo below on this page). Class 50044 Exeter--Class 50049 Defiance--class 50050 Fearless. Five of the 6 class 50s at Old Oak Common on the 2nd of September in 2017. 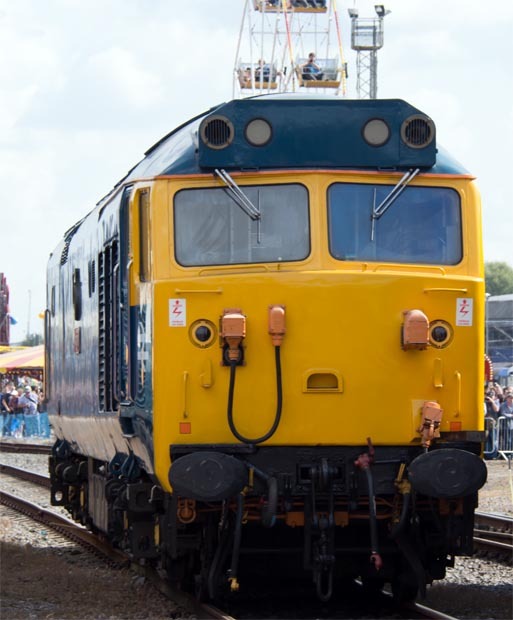 This Class 50 no.50035 Ark Royal was not in the Line up above. It has now been 111 years in 2017 since The Oak Common Depot started servicing trains on the 17th March in 1906. The Depot is in west London in the UK. GWR put on a very good display at this open day of steam, diesel, electric locomotives, most of which have helped to make ‘God’s Wonderful Railway,’work. The HST fleet still operates today (2017) this fleet of HSTs is soon to be replaced after over 40 years of very good service by the new Hitachi Intercity Express Train. The High Speed Train' part of 'Old Oak Common Depot' is set close in 2018. This is when HST's on the Great Western Main Line will be replaced by the new InterCity Express Trains. A new facility will be built for new Crossrail trains, were they will be serviced and maintained. Maintenance of the new InterCity Express Trains will be carried out at North Pole IEP Depot situated opposite the site of Old Oak Common TMD. This website is Ukrailways1970tilltoday.me.uk it is on railways, but it is not just on trains, but all things railways, with photos, which I have taken from the 1970s till now. I take photos of all things railways, steam diesel and electric trains, signal boxes, wagons any thing that is on the National Rail network, which was BR when I started taken photos.